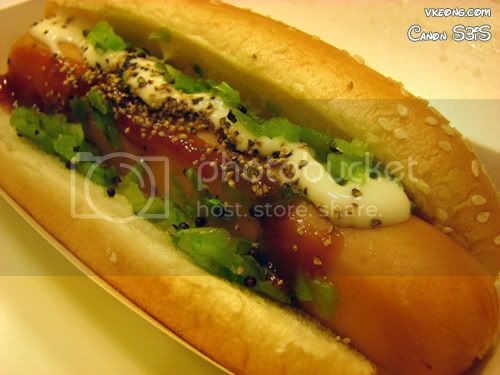 Malaysia’s Good Food & Stay Guide » Blog Archive » Mark 19th of the month for Hotdog day? Mark 19th of the month for Hotdog day? 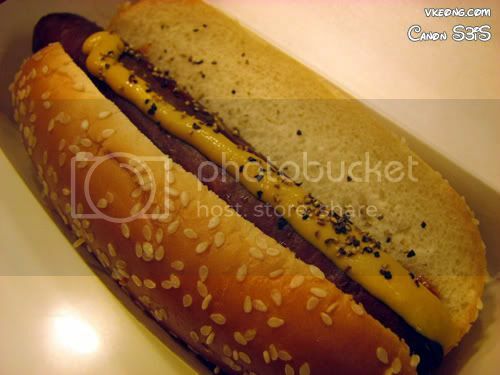 1901 Hotdogs, a home grown franchise chain started from a hotdog stand in Sunway Pyramid since 1997. It’s now their turn to have some food promo which has long due to reward their supporters. Go get a Regular Chicago Beef or Regular New York Chicken sausage at only RM1.99! Looking at RM4.90 (n.p. ), it’s about 60% off, a very affordable snack or tea-break. 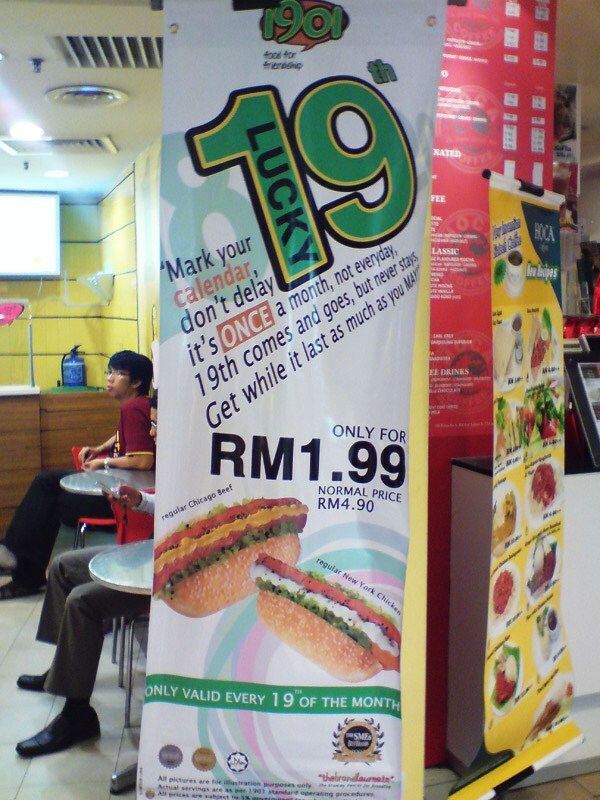 This entry was posted on Wednesday, August 6th, 2008 at 5:58 pm	and is filed under Cafes, Food Promo, Hawker Stalls, Heavenly Klang Valley Food. You can follow any responses to this entry through the RSS 2.0 feed. You can leave a response, or trackback from your own site.